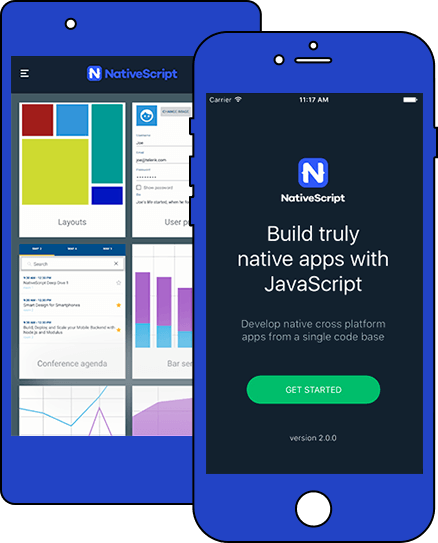 What Makes The Nativescript Special? Now going back to where we started from, there are a few differences between the hybrid apps and the native apps and these factors majorly contribute in making the nativescript special. Since the list of these factors can get long, here we would only be discussing the two of the most important reasons; first is the input that is given in by the user and the second is the workability of the user interface stack. Talking about the user interfaces first, these are not created in nativescript as it is the case in the hybrid apps. Since the UI is basically instances that are derived from the widgets and visuals, a lot of time is saved. The next special factor here is the accessibility that is provided by the nativescript to the apps. At the time of runtime, a nativescript would ensure that all the APIs like file system, location, camera, etc. can be accessed. Moreover, since there is a presence of a variety of delegates that are also known as the native handlers, the entire process of the input that is to be given by the users is automatically taken care of? Although different developers have different approaches and for many this process used by the nativescript might sound a little complicated, it is still a preferable options for a lot of them who are working on special applications having special requirements where this process and workability proves to be completely satisfying.